It was quite by chance that I came across ‘Made In Vietnam Zine’ on social media. 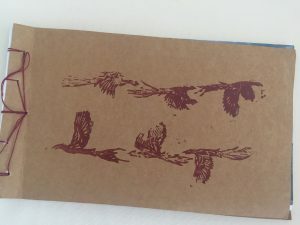 Unsure what exactly a zine was, I nevertheless submitted some of Nguyen Thi Mai’s work for consideration and was happy they were accepted for inclusion in Issue 3 of the zine. So what is a zine? It is in essence a magazine, a non-commercial one that’s likely to be homemade, with a small circulation, and made without the printing press and equipment of a large printing house. All featured artists received a complimentary copy of the zine. 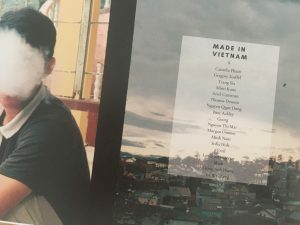 While ‘Made In Vietnam Zine’ might not have the big budget of an international branded magazine, the professionalism and dedication that went into the making of the zine is evident. It was clearly a labor of love for its creator(s)! In conjunction with the launch of Issue 3, ‘Made In Vietnam Zine’ organized the Art & Zine Festival, a collective art show for the artists featured in the zine, in both Hanoi and Ho Chi Minh City. The Ho Chi Minh City edition was organized from 15th March to 17th March, 2019, at the Soma Art Lounge in Thao Dien, a café/bar/pub with a cozy and intimate ambience. As someone who represents an emerging artist, I am especially grateful and appreciative to see initiatives like ‘Made In Vietnam Zine’. A thriving art community cannot be just about artists, commercial galleries and museums. Independent parties like ‘Made In Vietnam Zine’ have a vital role to play in providing a platform for artists to showcase their work and gain exposure, especially those on the lower rungs of the ladder. Last but not least, a shout out to Rebecca Joy who went the extra mile flying down from Hanoi to set up and got the Art & Zine Festival going! You can visit https://www.facebook.com/madeinvietzine/ to know more about their activities.